On Monday it will be Blake's first time at Pre-School and even though I've had plenty of time to adjust to the idea the summer has gone too fast and I'm not ready for it. 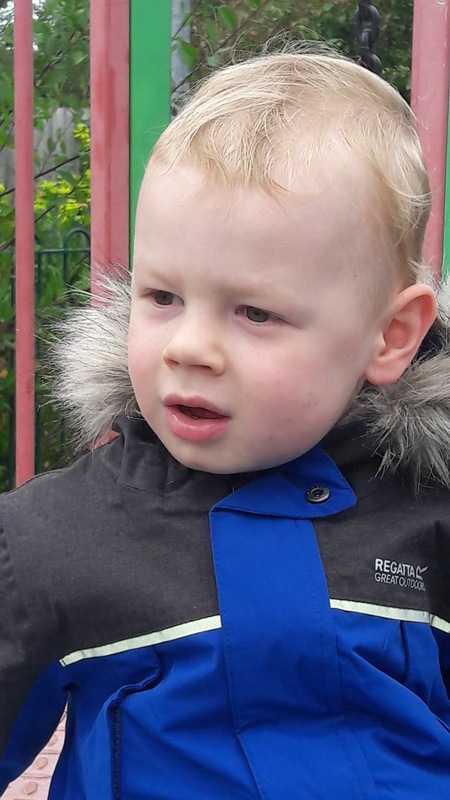 I've got all the bits he needs for Pre-School sorted, I'm just not ready to leave my baby on his first day when he won't know a single person. His Pre-School has no uniform and so I have purchased a range of joggers as they will be easy to clean and tops just for the purpose. However there are a few other bits and bobs that were needed and I have been kindly sent some items to share with you. 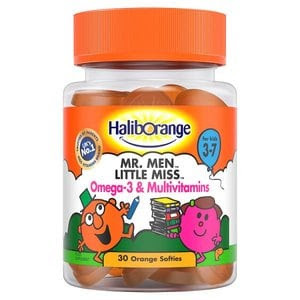 Haliborange Mr Men Little Miss Omega3 & Multivitamins are ideal as once Blake starts Pre-school I'm aware that he will probably catch things like colds so much easier. These Mutli-vitamins are a yummy orange flavour. Superdrug Handy Antibacterial Wipes are Lemon fragranced with a cleansing formulation that contains antibacterial ingredients and Vitamin E to cleanse effectively and leave the skin feeling refreshed after use. 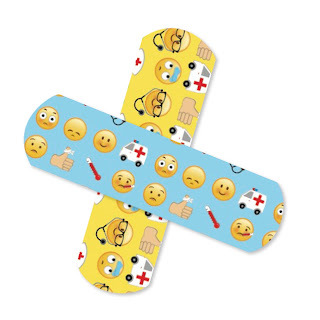 Superdrug Fix 'Em Plasters are water resistant, breathable, non-wound sticking and guaranteed to stay in place. These are ideal as children are always falling over and scraping their hands and knees. Savlon Cream gently soothes and helps prevent infection aiding in the natural healing of minor skin disorders: Cuts & grazes, insect bites & stings, minor burns & scalds! The Iron On Clothing Labels are safe to use in Washing Machines & Tumble Driers. The Stick On Labels are safe to use in dishwashers, microwaves, freezers & sterilisers. Fingers crossed we won't have any missing items now. Blake won't be having lunch at Pre-School, however I am all about trying to get him to eat healthy snacks with his lunch especially as he will be in for afternoon sessions. Chewy Moon are created by nutritionists and approved by kids. Boxes can be customised so you can opt not to have dairy, nuts or fruit for example. There are a choice of over 30 different snacks and the box itself comes with a range of educational and fun activities too. For helping aid learning at home DK Books have a great selection of Skills for starting school range. They combine the solid foundation in RAW ( Reading, arithmetic and writing) that have entertaining visuals to help them learn with confidence. We have two books from the range, the first is the I can count suitable for children ages 2-6 years. Filled with over 50 flaps exploring exciting scenarios the book is an interactive approach to promoting maths through play. Bip, Bop and Boo invite young readers to count objects in this colourful book making it a fun way to learn. The sticker reward chart book rewards your child as they learn. 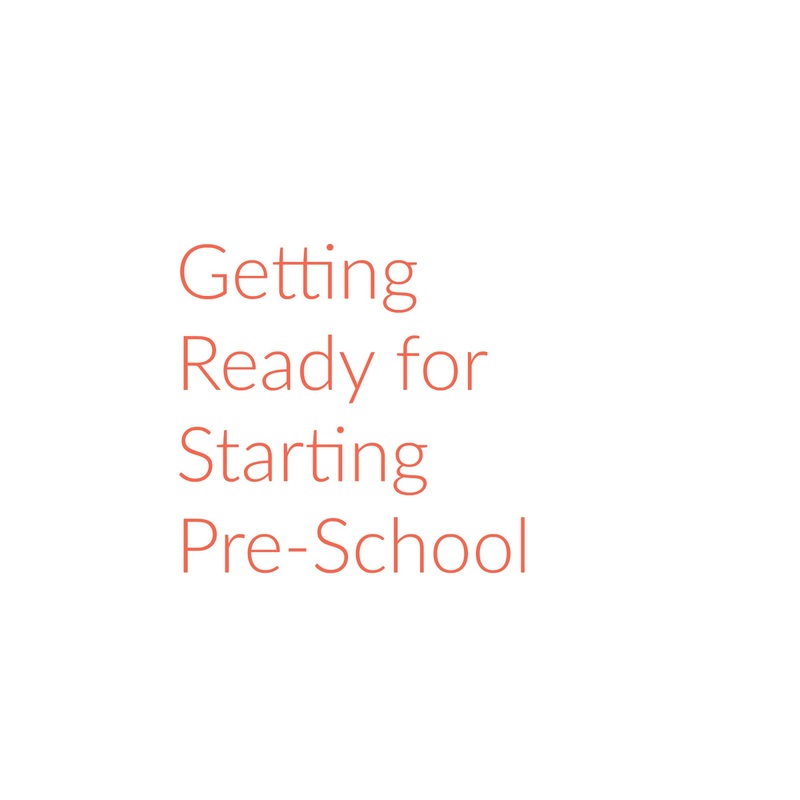 With 12 personal and social skills for starting school for ages 2-6 years. Bip, Bop and Boo lead multiple activity pages including how to brush teeth, be polite and learn to dress are a few examples. The book has over 600 stickers, 22 colourful tear out charts and 5 colourful certificates. The books also contains additional support for parents with tips to make learning inclusive for the whole family. When it comes to shoes it's important for them to be comfortable in them especially if they are in them for a long period of time. These Boys Black Boat Shoes from Dobell are comfortable with a smart style. 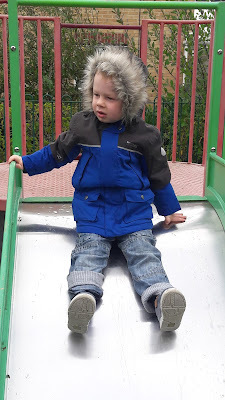 They have a easy fasten Velcro tab so that can be easily be taken on and off, ideal for little people. They also have a chunky sole meaning that they will protect your child's feet. A good size backpack is a must for starting Pre-School. This bright and colourful backpack from Smiggle is from the Junior Dizzy range and comes in a range of colourful and bright designs. With 3 zipped compartments and 2 drinks bottle sleeves this bag is plenty big enough for carrying your little ones spare clothing, lunch box and more. The backpack also has a handy carry handle and padded adjustable straps for comfort. Last of all a good quality coat is very important for the start of the school year. The Regatta Paxon Parka is available in Black, Dark Khaki and Surf Spray. The coat is made of waterproof and breathable Isotex 5000 coated polyester twill fabric. Featuring internal storm cuffs and taped seams, it comes with a durable water repellent finish. It has two lower patch pockets and is lined with polyester with strategic warm fleece panels. The coat is thigh length with a fine quality 'faux-fur' trim hood (which is removable). *I was sent the items included for the purpose of this post. All thoughts are honest and my own. 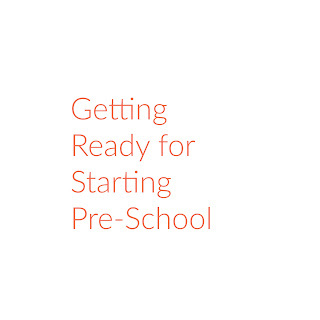 Ah good luck for his first day at preschool - sounds like you are fully prepared. We love those HalibOrange vits and the snack packs from Chewy Moon too! Wow you were so organised. I have to say, me and my sister were rushing sround tescos for lunch boxes until 8pm the night before haha! Aw I hope it all goes really well. It sounds like you're all sorted for everything he needs - we have a house full of Smiggle fans here! Ooh you really are organised! I wasn't at all, we had a mad rush yesterday morning looking for everything! Oo the name tags sound really good - I like that they're are washing machine and tumble dryer friendly! Some wonderful ideas here and I'm sure several parents will enjoy getting these tips. Very organised and oh my goodness, I remember our preschool days. We loved every minute! Oh gosh what a big change for you both I hope Blake really enjoys being at pre-school and what some great ideas for starting to get ready. First day of preschool is huge. I'm sure he will love the experience. Time flies so fast. Before you just gave birth and now your little one will be in pre-school. Great tips and I hope you both enjoy the first and succeeding days. I like the idea of building your own uniform and iron on rules! I love those iron on labels they're so handy. I had ones with my name and a little horse on when I was younger and all the other kids just had their name so I was so smug hahaha! Good luck Blake! I start school on Monday and my mummy has been frantically putting labels on my clothes! All of these are brilliant for the back to school list. Good luck to your little one on his first day! Good luck Blake! I start school tomorrow and my mummy isn't this organised! I hope it goes well, looks like you are completely organised! You are far more organised than I would be. I love the colourful rucksack and the reward chart. Great tips and big yes from me for labels, so helpful when there's an unending pile of tiny coats in a pile at school or home! Hope Blake is having a great time! eeek! My youngest is now one of the eldest in preschool! Fab tips! I cut a name label in half (first name on one label, second name on another) to put in their shoes. We've still got another year before preschool but I'm already starting to think ahead about what I need to get. Love the chewy vitamins! Hope your little boy enjoyed pre-school. Loved his coat, he looked very warm. Hope it went well. Looks like you were well prepared!